Does a “Heat Pack” Prove Dominance? The video below of a “heat pack” cruising the streets of LA West, is often cited on various forums as proof that dominance exists as the controlling principle of canine social structure. But what does this video actually demonstrate? I’ve always maintained that dominance, if it exists, is a sexual behavior, not a social one. Yes I couldn’t agree more that this is the strongest component of it, I also like your formulation from the Psyche Today posts as “dominance” really being a form of social anxiety. As per the sexual aspect, the urge to mount another dog is the raw predator—>prey impulse elaborating into the sexual urge, another form of wave-coupling as is play making and group hunting. So sexual is how the wolves feel how to cooperate in cornering their prey. But finally, why then do we even need the word dominance since it’s not needed to explain hierarchy in non living systems, and since only human beings can conceptualize a concept such as dominance? Finally, finally, there’s one more thing I’m reaching for as per what is being revealed in this video. Yes but who is the prey? The female, oozing hormonal preyful essence is the object of attraction with the most emotional leverage. The male that ultimately mates with her had the highest capacity for maintaining desire/hunger in the face of much fear/resistance/balance disruption (his and the packs). Although dominance theory would say that the male who mated with her was more dominant over the rest of the pack and the female, but the reality is that the female was calmly in control and the males simply fell into her emotional orbit. It seems like there is a central “game” played between the two male dogs, with the female being the midpoint in a sense. Is this about the the female in heat being an opportunity for the dogs to ground charge, by fighting each other in the “top two” spots? As the “top dog” keeps cycling off the top, it almost seems like they have finally released as much charge as they can, and they seem to walk off relatively peaceably. In that sense, there isn’t a hierarchy, but rather a queue of dogs lined up according to charge, with the top two male dogs with highest charge paired up to use the female as a midpoint between them. That’s all I got haha. Thoughts? One more thought – so it seems like the “top dog” actively trying to mate with female that is the most preyful. “a queue of dogs lined up according to charge, with the top two male dogs with highest charge paired up to use the female as a midpoint between them.” That’s very well said. What’s so interesting about this video is how it speaks to our human intellectual perspective. We become so drawn to the friction between the males, that we see the outcome between them as being the organizing principle of this scenario. Yet the complete opposite is the case. The female is the prey with much resistance, whether it be coming from her own selectiveness or physical receptivity, or the gaggle of males towed in her wake that turbinate movement, so she is the Moose. Were a Martian looking down dispassionately from his space ship on this event, he would say the female is in control were control a word we need to use, but she’s certainly defining the current around which the thermodynamically based configuration will arise. This video is often pointed to as proof of the dominance hierarchy, but it’s just a lot of friction until the flow hierarchy emerges, it’s not even accurate to say the males are competing. What’s happening is how much intensity can the male take and still feel the prey in the female, the one who can still feel flow in face of friction is the one who will prevail and we need not weave a human narrative into their minds to make the most sense of what’s going on. Thanks Kevin that’s super encouraging – I’m making progress! I am a novice with this but isn’t your comment ” This video is often pointed to as proof of the dominance hierarchy, but it’s just a lot of friction until the flow hierarchy emerges,” somewhat contradictory? Hierarchy, of any kind, implies dominance of some kind, does it not? Riffing of Dirk and Willem– to me this video is also an example of the “hierarchy of want” that Kevin describes when wolf packs come together to hunt the moose. Whoever wants it most is the “leader” and the others become charged too. It also brings up the magnetic pull of e-motion…the drive to connect, whether hunting or mating is like a magnet drawn to its opposite pole. What has this chump stumped is why hunting becomes collaborative and the circle of temperament synchronizes to get the moose and why it APPEARS competitive/unsynchronized in the heat pack? I realize as networked consciousness it is not necessarily competitive, but I do wonder what behavior/energy I am putting my thoughts on top of that makes it appear competitive? Your question brings us to the crux of the confusion. Behaviorism isn’t using words properly, by which I mean it is conflating hierarchy with dominance. They are not the same. For example, does the music of a choir emerge because the altos are trying to dominate the sopranos by singing higher, and then the tenors the basses? Or, does each individual find their right place and then a synergistic sound emerges from this wave coupling of sound? In other words a flow hierarchy. Whereas dominance by definition, means an intention to control another, to control an outcome, the capacity to compare two points of view, the subject versus the object, a present or past point in time versus a future point in time. This is not the same as a hierarchy. According to Constructal Law, there is always hierarchy in nature and it always follows the same mathematical formula, from watersheds to the air passageways of a lung, to orchestras and to military command structures. Now since this same structure runs consistently between inanimate and animate systems, and we wouldn’t say that the Mississippi River is dominating the Ohio river or any other of its tributaries, why would we assume that wolves are thinking thoughts of dominance and submission when they configure themselves exactly the same way as inanimate systems sans genes and thoughts? With waterways and forests we simply note given the new understanding of thermodynamics and self-organizing systems that there is a flow hierarchy. This deeper recognition of its true structure then leads us to a far deeper understanding of nature. The paradox that strikes me is that precise language is crucial for this discussion but of course using language is the cause of the confusion. Anyway, two things caught my attention and reminded me about something Cesar wrote 1) using the word dominance incorrectly conflates it with hierarchy 2) the choir/orchestra metaphor. A quick summary of a passage in his book: He acknowledges that the words dominance and control make people uncomfortable and in the English language have negative connotations, like conquering or overwhelming an enemy. He defends his use of the word dominance by saying in the Latin base is dominus meaning master and to his ears, this word sounds like maestro in Spanish as in an orchestra conductor. And like a conductor in an orchestra a dominant dog provides direction. He goes on to say that when he uses the word control he means the act of starting, changing, and stopping action by other, another thing a dominant dog provides to the pack. I believe this sort of language may be where I am picking up the thoughts that influence my view of the heat pack as having a competitive intention. 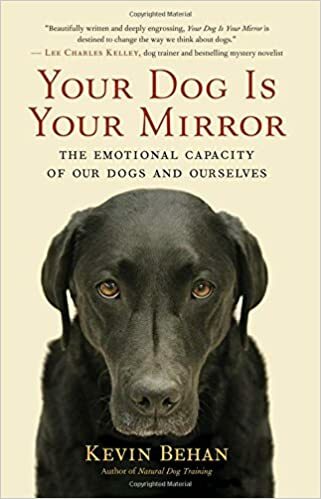 But the idea that a dog perceives something as an “enemy” makes little sense…when the males in the heat pack are “dominating and controlling” who is the enemy? The female, the other dogs? And if the “dominant” dog was providing direction and in charge of starting, changing or stopping an action by another what orchestra is he conducting? Why couldn’t he get the others to stop? What song are they trying to play? What is their intention? I will say when I first read the definition of dominance=dominus=maestro I was able to equate that to being my dogs energy conductor but I realize now I totally skipped over the part about giving direction. I thought of the word conductor in thermodynamic terms without even realizing it. So I suppose Cesar would say I was confusing the words! Oh sweet irony! Of course, I was not trying to use the Cesar philosophy to explain animal behavior, I don’t believe he ever gets those explanations right. I was simply trying to get a toehold into a way for me to be a more effective energy manager for my dog by being more aware of my own intentions and energy source. OK gotta go play tug of war with my dog and let her win! I think it’s possible to use the precise words to get the proper point across. And yet of course it’s true that for many in dogdom the discussion about dominance is about political correctness and they are uncomfortable with anything that isn’t positive and force-free. 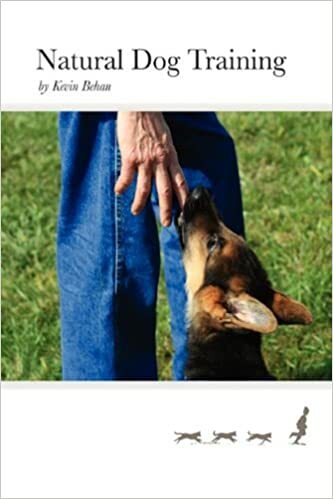 I formulated in “Natural Dog Training” that an owner should be a master of a discipline, that discipline being the nature of their dog. My complaint with the term is that it’s inaccurate. First of all it is about intention rather than a a feeling of attraction. Secondly, it can’t identify the current (emotion) around which the social structure emerges. If we revisit the conductor/orchestra example, the music has a flow to it and generally the conductor is the one who from his vantage point has the strongest feeling for its flow and hence his capacity to give direction. But if he violates the flow, then he will be challenged by the musicians if not the audience. So we can see that even though a conductor is clearly capable of being dominant, if he’s truly a master of his discipline then its the flow which governs him as well as all the others and that will even allow him to take direction from others. The term also misses that the prey is the true director of the pack on the architectural level of each member’s mind, and that the nature of the hunt determines everything about social structure and the physiology and behavior of each member. Furthermore, it’s a trickle-down model with social begetting hunting, as opposed to a self-organizing bubble-up phenomenon wherein hunting begets the social. It’s like a Newtonian Mechanics when a Quantum Mechanics is more apt.